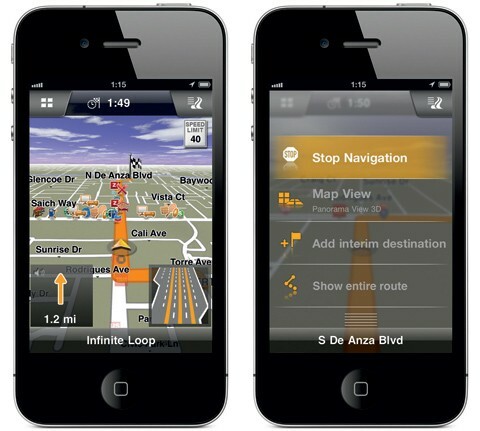 Navigation junkies have been pining for Navigon's latest MobileNavigator application ever since our sneak preview at CTIA, but that wait is now over -- at least for iPhone constituents. To mark its arrival, the app was re-branded as Navigon 2.0, and yes, it's a free upgrade for current users. Most notably, the software now enables individuals to selectively load maps into their iPhone on a state-by-state basis -- thereby creating extra headroom for more important uses. Additionally, Navigon fans will also discover a completely re-designed user interface along with an in-app purchase function that delivers quarterly map updates. Now through November 30th, new users may purchase Navigon 2.0 for $20 off the normal price of $49.99 for the United States or Canada, and $59.99 for all of North America. Curious to see it in action? We've included a demo video and the full PR just beyond the break. Navigon 2.0 arrives for iPhone with new name, lets users download maps by state (video) originally appeared on Engadget on Thu, 17 Nov 2011 07:00:00 EDT. Please see our terms for use of feeds.